Talk of places like Hawaii, New Zealand and Australia and you tend to think of Pacific coral reefs and the habitat they create. The four authors here, headed by Hollie Putnam from the Hawaii Institute of Marine Biology in Kaneohe, obviously spend a lot of time thinking. The symbionts (friendly dinoflagellate algae) of hard corals vary according to how resilient the coral host is to change. The way in which their variety shows is a surprise however. Reef building corals are among our most important indicators of environmental conditions as they are sensitive to climate change stressors. The sensitivity is due to their physiology, which is dominated itself by the union with the algae. This symbiotic union gives either resistance through tolerance or resilience through adaptation to those environmental changes. The authors chose the fabulous Moorea, in Tahiti, to explore their hypotheses. They have used the idea of a vast complexity of Symbiodinium/ coral associations, recently uncovered by genetic advances. Former theories have been overthrown and dismantled as corals' ecological performance was measured by comparison with their symbiotic flexibility. The flexibility is the ability to possess a varied group of Symbiodinium "sequences." 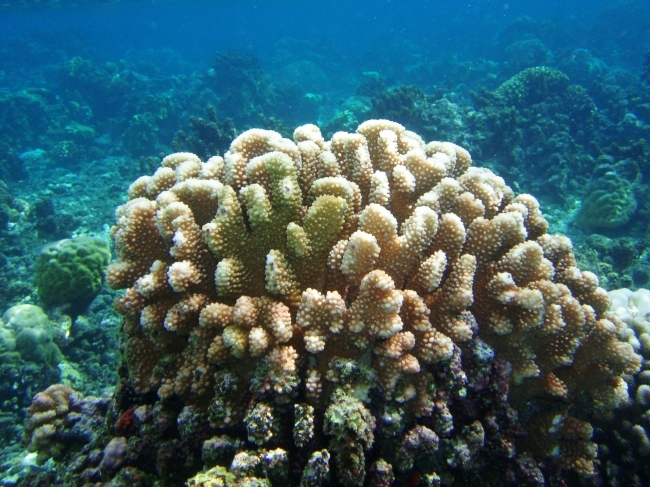 1240 such sequences were found in 132 samples of 34 coral species. What resulted was an excellent index that portrayed flexibility for 128 of the coral species. There was a vast range from 0 (with only one symbiont type) to 0.2197. The latter types had multiple members of the most distantly related Symbiodimium. Seven corals measured 0, with the others having multiple algal types. The highest index figures and variance of algae were included within Acropora, Leptastrea, Leptoseris, Montipora, Pavona and Pocillopora. This group of corals had less than 26% similarity of their algae, while the others had more than a 78% similarity. The former are called generalists and the latter regarded as specifists. So the Acropora, Pocillopora and other generalists are regarded as ecological "losers" and stress sensitive despite a high symbiotic flexibility. The conflict with previous theory begins here, as it seemed logical to expect the opposite. However it is these species that are most threatened now as we worry about caring for our reefs in the unfamiliar conditions to which the generalists in particular are adjusted over huge intervals of time. The specifists such as Cyphastrea, Fungia, Gardineroseris, Herpolitha, Porites and Psammocoraare very faithful to their symbionts. The colonies display great stability and persistence over time and under stressful conditions. With coevolution and long integration with the symbiont this association is very different from Acropora and its fellow generalists. Now it seems very successful against the constraints of temperature change and ocean acidification. The paper should be viewed by all those concerned about reefs. 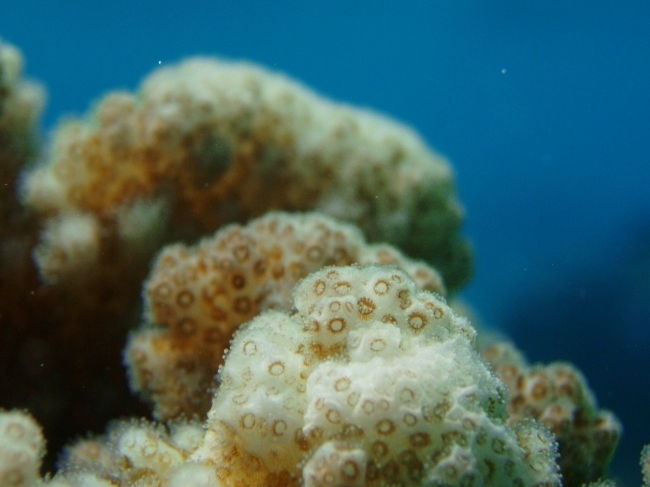 The research, 'Endosymbiotic flexibility associates with environmental sensitivity in scleractinian corals' appears today, published in the Proceedings of the Royal Society B: Biological Sciences.